Teen Business is awesome; having fun, making money and fine-tuning incredibly useful skills for later life. But there’s a big problem for teen entrepreneurs. No one really knows or understands us - who’s really promoting teen entrepreneurship? Teens contact me and ask “I’ve been trying this out... not really sure what to do next. Any suggestions?!?”. They’re clearly going places, with a little guidance... but is there anything out there for them already? 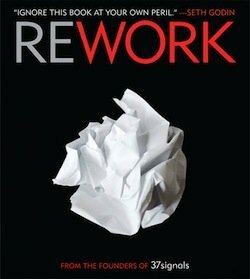 One of my favourite business books 'Rework' spends the first few pages undoing the damage of previous bad advice. But teens are fresh slates; we just need the good stuff! So I wrote this guide for teenagers, like myself, who want to start their own teen business, putting everything I know that’s relevant to us that I know about business. Over the next couple of pages, you’ll see some of the best videos, guides and tips I’ve found. The whole guide is based loosely around some of these ideas in Richard St Johns; inspired after being asked by a high-school student “what leads to success?” he went out and researched the field. Seven years, and 500 interviews later, this is his answer. Its short, and its funny. How dreaming big sets the goals for success, and how to make those dreams a reality. How to identify what you really care about, and work that into your teen business. How to find incredible business mentors to guide you with your ventures. How to turn your ideas and vision into a profitable reality. Hundreds of teenagers are desperate for your advice; and its difficult to find good, relevant help for teen entrepreneurs on an internet dominated by business "re-education". Here's your chance to add your suggestions and advice; picture the hundreds of teens who visit this site, pawing through what you're about to write. Your speaking to the next-generation of entrepreneurs, employers and CEOs. You've got the chance to make a profound impact on hundreds, even thousands of young people. So make your suggestions awesome - only the best will be published as a standalone page, and linked into the guide. You can upload pictures, and add videos (just paste a link I can embed the video from) and links to other relevant sites on the net. Also, add a short bio, Twitter profile and link to your blog or website if you like. You'll almost certainly find savvy young entrepreneurs itching to talk to you. If you've got lots of different ideas, its best to submit them in different articles. Shorter, focused articles are better than long jumbled ones. Enter a Title: What do you want to talk about? Here's some of the best contributions other visitors have submitted. You can comment and rate each of these articles too.